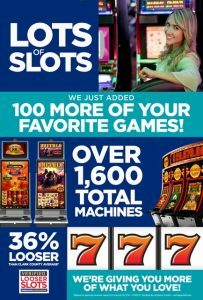 Rampart Casino at The Resort at Summerlin is where you’ll find all of your favorite slot and video poker machines, including cutting-edge new game technologies alongside a wide variety of classic and legacy type machines. The beautiful Summerlin Room High Limit area features games that range from one to twenty dollar denominations. Rampart Casino now boasts over 1,600 slot, video poker, and keno machines in Summerlin Las Vegas at the JW Marriott.